Let us enjoy a few relaxing hours on the stunning Antigua beaches, where the white sand is lapped by the crystal-clear waters of the Atlantic Ocean. 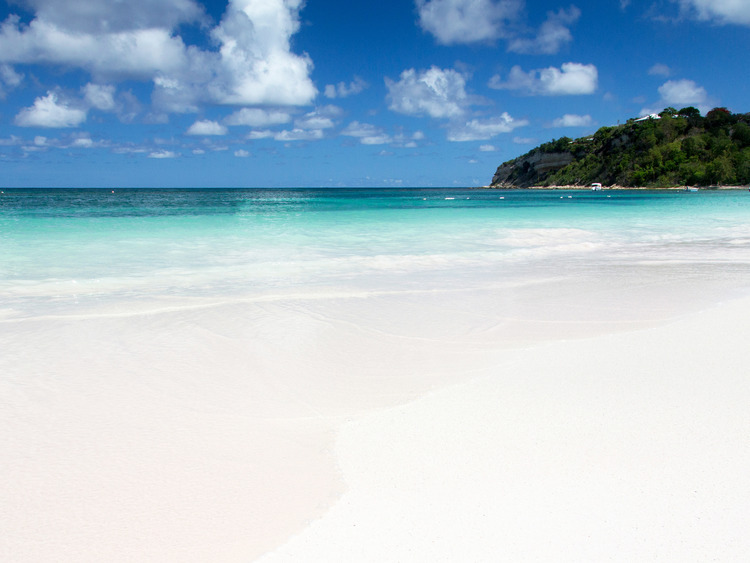 Indulge in a few hours of absolute relaxation on one of Antigua's numerous beaches. Crystal-clear waters, white sand and unspoilt nature - these are the characteristics of the island. For us, all of this translates into tranquillity and breath-taking views under the sweet sunlight - a true paradise one cannot help but appreciate. We relax while sipping a welcome rum or fruit punch cocktail, a lovely example of the hospitality and joie de vivre of Caribbean people. The drink is perfect to introduce us to this experience's dreamlike atmosphere. We can spend our time doing whatever we prefer - stroll on the soft white sand, go for a swim in the lovely crystal clear waters of the Caribbean Sea or sunbathe. Time seems to have stopped on this amazing beach, which we leave reluctantly but with fantastic unforgettable memories. Parasols are available subject to an additional charge.